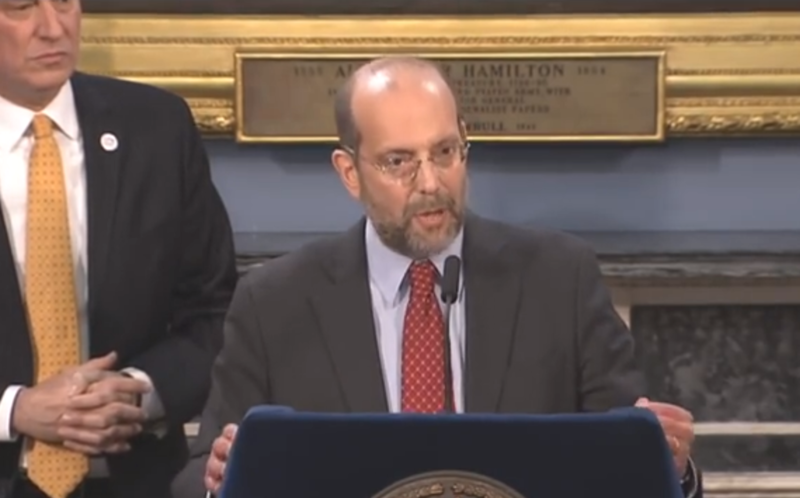 Will New Leadership at NYC’s Social Service Agency Mean New Dignity for the Poor? Steven Banks has been on the front lines of the battle to get New York mayors to keep their obligations to the poor. Now he’ll be the mayor’s front-man on those policies. If I were reporting a story about social welfare programs in the city and wanted to talk to a source who could cite chapter and verse on how the de Blasio administration was or wasn’t fulfilling its moral and legal commitment to the poor, I’d call Steve Banks, the Legal Aid big-wig who for my entire career has been a monitor and critic of the Giuliani and Bloomberg administration’s approach to welfare, food stamps, homeless shelters and other threads of the safety net. That phone call will be awkward now, because Banks will be running that policy for de Blasio, who on Friday named him the head of the Human Resources Administration. A cynic might dismiss the move as shrewd politics: neutralize your most likely critic by making him your right-hand man. But there are plenty of other very vocal advocates in the city who will seamlessly continue their watchdog duties without Banks at their side. A more fair reading of the move is that this is de Blasio understanding that while some agencies are prepared to follow his more progressive marching orders—and therefore can be led by the kind of veteran insiders the mayor has appointed to lead them—HRA needs a deeper reorientation. Under Mayor Bloomberg, HRA kept finger-imaging food-stamp applicants even after the federal agency that oversees the nutrition program, USDA, asked it to stop. Bloomberg refused to apply for a waiver to let more jobless adults without disabilities or kids get food stamps. The waiver was open to all counties with high unemployment, and New York easily qualified, but the mayor refused—even when his own aides wanted to do it, and, later, even when the post-recession stimulus bill made the waiver open to every city. Welfare rolls were static or even fell during the economic crisis, as lines at pantries grew and homeless shelter populations swelled, but the previous administration took the shrinking beneficiary population as a feather in its cap. And when the Bloomberg administration launched its much-ballyhooed effort to reduce poverty, HRA—the city’s welfare agency—bizarrely was not at the table. As City Limits’s Neil de Mause reported three years ago, it’s hard for those of us who live comfortably to understand the outsize role HRA plays in the lives of the city’s 1.6 million poor people. HRA appointments and paperwork requirements can dominate poor people’s schedules, and its decisions on benefits and penalties are of extraordinary consequence. we need to understand who it is that the agency is serving. The agency is serving people that are cycling in and out of low-wage work and are coming to the agency to get one-shot rent arrears [assistance] and things of that nature to keep a roof over their heads and keep them out of the shelter system. To an extent we have bureaucratic obstacles that were from another era, when the population was different and the ideologies were different, we have to look at all those barriers and see which one should be taken down in order to have proper policies that are aligned with the mayor’s values and the mayor’s goals.